More and more Galaxy Note 7 owners in the U.S. are returning the fire-prone smartphones as Samsung's massive recall unfolds. Samsung (SSNLF) said late Thursday that nearly half of all recalled Galaxy Note 7 phones have been returned in the U.S. That's up from only 25% on Tuesday. The exchange program appears to have advanced after 500,000 new, non-exploding versions of the Note 7 devices became available in the U.S. on Wednesday. Samsung first alerted consumers around the world to a problem with the Note 7 three weeks ago. The lithium-ion batteries in some phones were faulty and could overheat or even catch fire while charging. Samsung sold 2.5 million of the phones globally before stopping sales. It believes the issue only impacts 0.1% of Note 7s, but is recalling all devices. Samsung said Thursday that 90% of Note 7 owners in the U.S. have opted to receive new versions of the phone. Since new and old Galaxy Note 7s will look identical from the outside, Samsung is tweaking the software to let people know they have a safe device. The battery indicator light on new Note 7s will be green instead of gray. 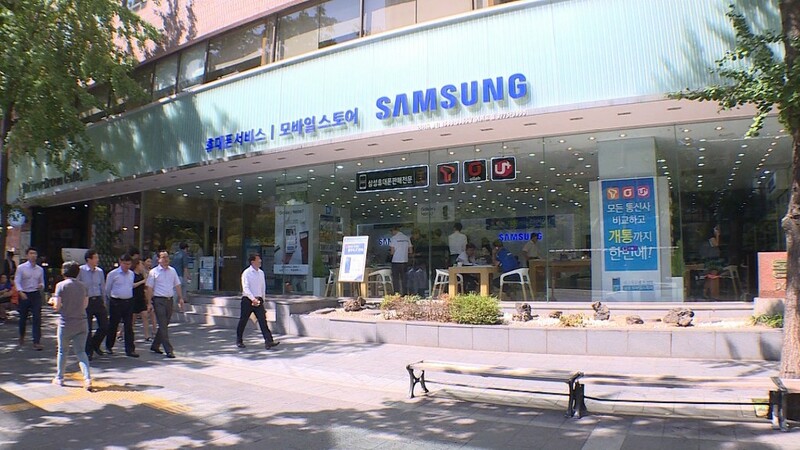 The company started offering replacements in South Korea and some European countries on Monday. For Note 7 owners who drag their heels in returning the older devices, Samsung has a plan B. It will push a software update to all recalled devices that warns anyone looking at the screen to turn it off and return it. The warning will pop up every time an old Note 7 is turned on or charged.